TELEHOUSE ISTANBUL which is Turkey’s first Carrier-Neutral Data Center offers global services to it’s customers over TEKNOTEL’s High Performance and Nonstop Internet Access. TELEHOUSE operates 48 DATA CENTERS around the World. There are several kinds of colocation services provided by TELEHOUSE ISTANBUL. These services integrate considerable and comprehensive planning support so both prospective and immediate demands are met, and your infrastructure remains to date. Furthermore, there are two kinds of payment offered per the “Pay as You Use” principles and the “Fixed Traffic Application” approach. Both physically and virtually, the disaster recovery services offered by TELEHOUSE ISTANBUL operate across all bases. 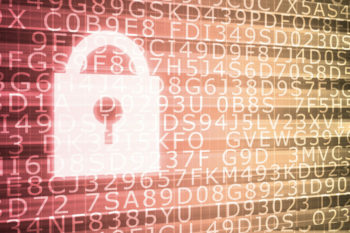 We will be able to ensure that your data remains safe, your corporation continues to operate uninterrupted and you stay connected with our 99.999% uptime record 48 data centers worldwide. Data can be immediately and automatically backed up on a monthly, weekly or daily basis thanks to the service our backup units we provide. Indeed, you can set the physical and cloud server’s backup intervals or data size as part of TELEHOUSE ISTANBUL DC’s services. DDos and IDS/IPS services provided by TELEHOUSE ISTANBUL ensure instantaneous prevention and detection of any malicious action or attack. Indeed, the service ensures that all servers keep running at high-performance without impact or effect. Therefore, all your critical assets are safeguarded at all times. Hyper-V, VMware, and VMware, as well as other large cloud-based platforms, are all facilitated by TELEHOUSE ISTANBUL’s cloud servers. 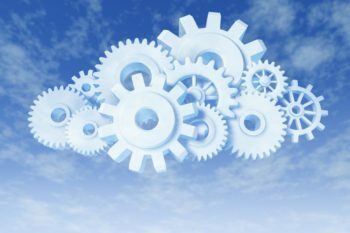 Both private and Hybrid services of the cloud are provided in an isolated and secure manner using Cloud Services. The firm’s most expensive and important assets and information are stored in the cloud; we keep these safe using a personally allocated decision so that your data are not only safe, but you may also access to them at all times. 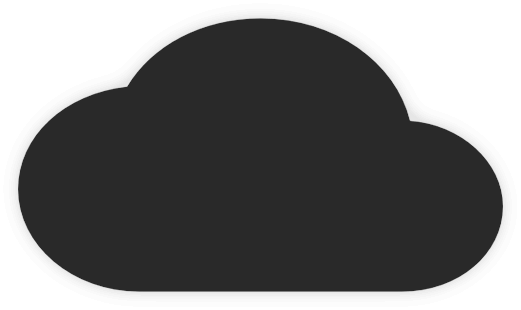 The complete Cloud services package is provided by TELEHOUSE ISTANBUL including Virtual Disaster Recovery, Cloud Backup, and Cloud storage. There are two options with TELEHOUSE ISTANBUL Cloud Backup services: image backup and file backups. Both run on the globally renowned and utilized Veeam® and Replication™ platforms for data protection. By using our Cloud Infrastructure Assessment tool, our clients can deploy and configure a cloud solution that is able to meet the precise budget and demands you need. First, you need to select the cloud package for you before customising it to your preferences. With the Remote Hands service, you will be offered a truly anytime availability on a 365/24 basis; there are no usage or callout restrictions. Furthermore, you also get an average of fifteen to twenty-minute callout times to resolve any problem or complication as part of our issue resolution services. We have a team of specialized and dedicated personnel responsible for monitoring networks around the clock on every day of the week. The helpdesk we run can facilitate round-the-clock and fast support every day of the week. The problems and issues herein shall be registered, validated, resolved and acknowledged. TELEHOUSE ISTANBUL’s onsite cabling engineers are able to install any type of in-house communication cabling that our customers. Our flexibility and dedication allow us to design and implement full cabling solutions for our clients services. 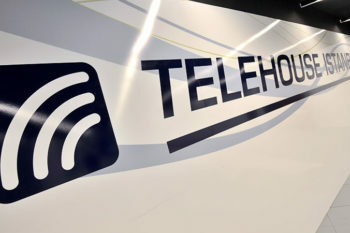 The Carrier Neutral Access Infrastructure provided by TELEHOUSE ISTANBUL is something that offers clients alternative solutions regarding access as well as incorporating the most significant voice networks and data from the region. TELEHOUSE’s London North Two Data Centre is connected to TELEHOUSE ISTANBUL through an IP MPLS structure and a 10Gbps access capacity. LINX, among the biggest internet traffic sites globally, has its main home at TELEHOUSE. The SEA-ME-WE 5 submarine cable system, covering and connecting more than 17 nations with its 20,000-km long cable system, is responsible for directing and moving TELEHOUSE ISTANBUL’S traffic. The system connects the Middle East and Western Europe through POP (Points of Presence) access points. TELEHOUSE Interconnect is among the leading ‘carrier-natural’ Data carrier providers and can connect over 3000 corporate partners including Content and Mobile Providers, Carriers, Financial Service firms and other Enterprises and service providers. We have over three decades of experience and have worked with global and national firms. All of them have chosen TEKNOTEL and TELEHOUSE ISTANBUL so that they can run their business more effectively both now and prospectively. TELEHOUSE is, across its 48 global datacentres, located in some of the most significant traffic centers with a total hosting area of 450,000m2. Thus, it can give its clients flexible and dynamic colocation services and considerably high-security services. TELEHOUSE interconnect is among the leading “carrier-natural” Data Carrier Providers and can connect over 3000 corporate partners including Content and Mobile Providers, Carriers, Financial Service providers and firms and other Enterprises. Every TELEHOUSE data center worldwide has a powerful and safe and secure infrastructure with up-to-date and cutting-edge technologies and services. With a wide customer base including small firms and large, multinational corporations, TELEHOUSE ISTANBUL can measure its performance and the efficacy of its services using a consumer satisfaction measure and tries to provide the very best TELEHOUSE service of all operators in the industry. With both redundant and dual-powered servers, TELEHOUSE ISTANBUL is a Tier 3+ data center location, it also has network links, storage, dual powered servers and further IT components. TELEHOUSE ISTANBUL can bring together the region’s most significant voice and data networks through its “Carrier Neutral” access infrastructure. TELEHOUSE ISTANBUL is also able to present different access solutions to its customers as an alternative. Our specialized and well-trained support and engineering teams are ready to help you on a 365/24 basis. This way we can guarantee all our customers are given the help they need regardless of their footprint or services. As a Tier 3-plus data center, TELEHOUSE ISTANBUL can ensure a relaxed and contented state of mind for its customers while also being a completely redundant 2(N+1) and providing 99.999% SLAs. Even today TELEHOUSE ISTANBUL is able to provide high redundancy for up-to-2N+1; this is the case for every TELEHOUSE data center globally. TELEHOUSE can provide its service in accordance with the following, state-of-art standards and protocols: ISO 14001, ISO 27001 and ISO 9001.